From 24 April 2017, speeding fines are changing. 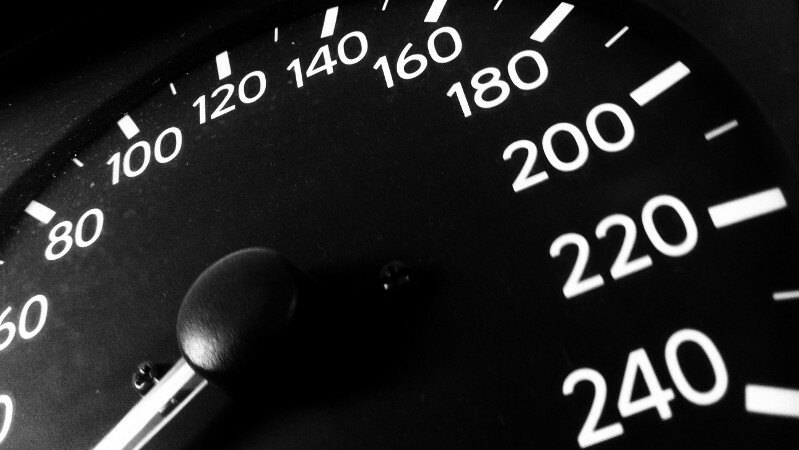 The fines applied for speeding are intended to reflect the chance of the speeding offence causing death and drivers can now be fined up to 175% of their weekly income. The goal of the new fines is to make drivers more aware of the danger of their offence. According to road crash victim support charity RoadPeace, the chance of killing a pedestrian in a 20mph speed limit rises from 1% at the speed limit to 83% at 41mph. Being caught doing 41mph or more in a 20mph zone will now be treated as the most serious category of speeding. This puts it in the same bracket as speeds of 101mph or more on a motorway. Figures calculated by motoring website HonestJohn.co.uk suggest that a driver earning £50,000 a year could face a fine of £1,000 for travelling at 41mph in a 20mph limit. It’s worth noting that fines for more minor speeding offences will also increase. For example, drivers doing between 31-40mph in a 30mph zone can now be fined up to 50% of their weekly income. The existing limit of £1,000 or £2,500 for motorway offences will remain, but beneath these limits drivers should expect to receive higher fines. The other big change from today (24 April 2017) is that the fine for using a mobile phone behind the wheel has also been doubled. Offenders will now receive a compulsory 6 point penalty and a £200 fine.